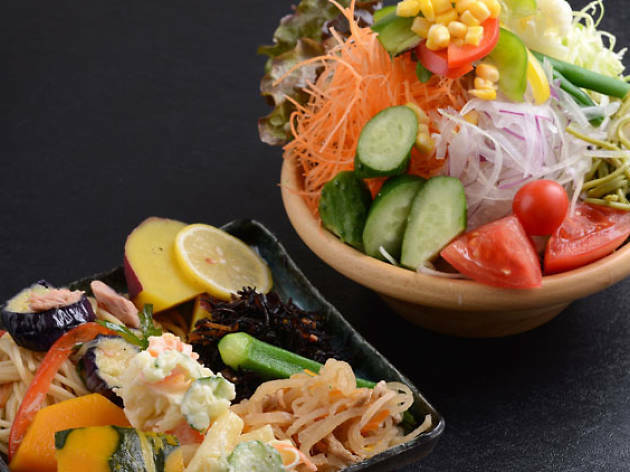 Chef Keisuke Takeda hits it out the park again with his latest mouthful of a concept, Teppanyaki Hamburg Nihonbashi Keisuke Bettei. As with most of his other restaurants, this one is located in his favourite ’hood – Tanjong Pagar – and the menu is brief. 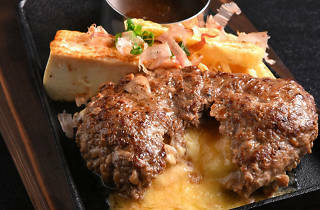 There are only two options: the Keisuke prime beef hamburg steak set ($18.80) and the triple cheese prime hamburg steak set ($20.80). That said, variety isn’t lacking here. Each set grants you unlimited access to the salad bar, whose 20 items includes an addictive pasta salad tossed with tuna and capsicum that I had three servings of, Momotaro tomatoes so fresh I’d believe it if I was told they were plucked from a farm in Hokkaido yesterday, and simmered sweet potato with lemon that can double-up as dessert. 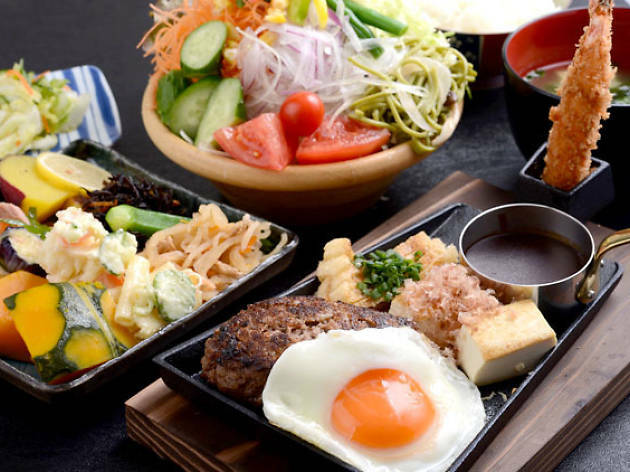 And just like any good hotel breakfast buffet, there’s a dedicated chef who whips up eggs in seven styles, from sunny side up to tamago. 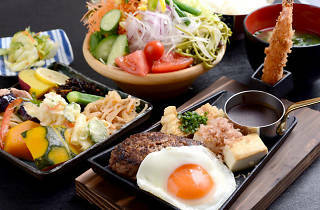 As for the hamburg sets, the beef patty is served on a hotplate with a bed of beansprouts, silken tofu, beancurd skin, ebi fry, Niigata rice and miso soup. Don’t expect it to taste like a beef patty you’ll find in an American-style stack, though. 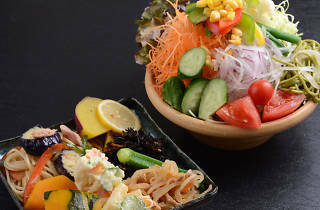 The ones here are minced in-house to a finer consistency so that you’re easily able to cut it with your chopsticks. Unfortunately, this also means that the patty loses bite and is a little too mushy for my liking. Diners can’t choose the doneness of the patties, either – they come well-done by default, drying out the beef. 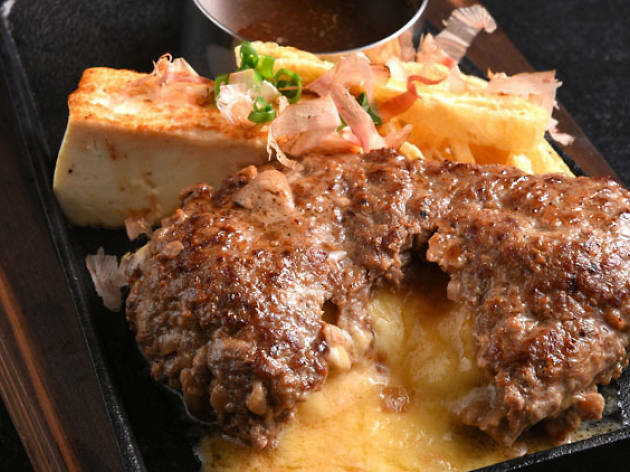 Thankfully, the hamburg comes with a choice of four sauces: oroshi ponzu, demi-glace, teriyaki mayo and a soya-based Keisuke original sauce that mask the grievances I have with the meat. If minor tweaks to the recipe for the patty are made, I’m certain the Keisuke group will have another winner. After all, it’s already done it 11 times before with its other restaurants.